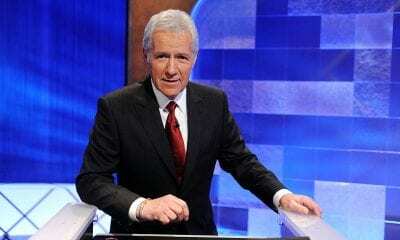 Everyone is proud of their state and its historical sites and famous residents, and everyone is always wondering, “Who is the greatest athlete ever to come from my state?” That, after all, could be the greatest sports question ever asked. Well, know you will have an answer, and before anyone has a panic attack, please note: athletes are only eligible to represent the state that they were born in. No exceptions. 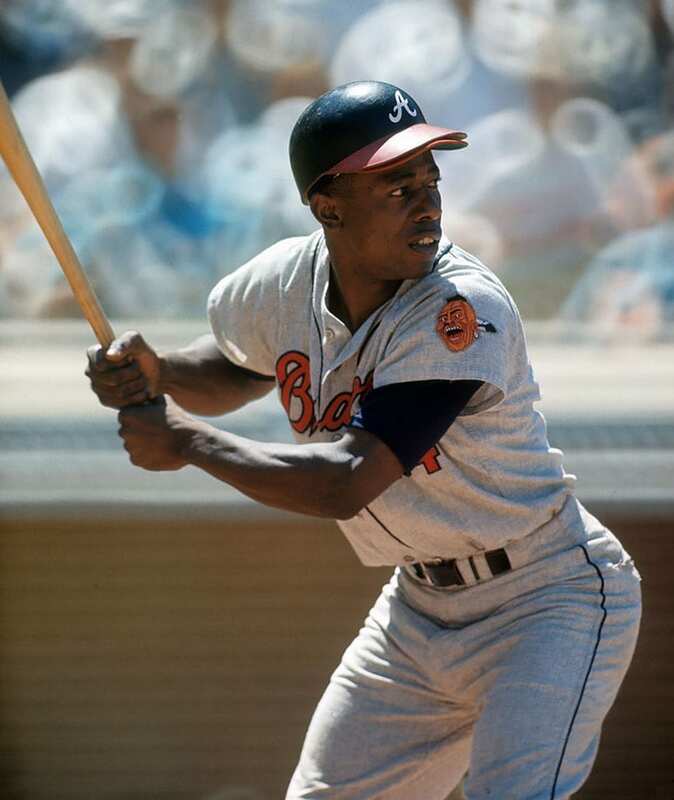 With 755 home runs, “Hammerin” Hank Aaron is considered by many the rightful home run king over Barry Bonds, and is one of the best baseball players of all time. He holds the Major League record for most All-Star game selections (25) and appearances (24), RBI, and, among many other hitting records, extra-base hits. Aaron is undoubtedly one of the most talented hitters in history and backed up his offense with solid defense, winning three Gold Gloves in addition to one MVP award. In 2002, President George W. Bush awarded Aaron the Presidential Medal of Freedom, America’s highest civilian honor. Aaron was inducted into the Baseball Hall of Fame in 1982 on his first ballot, garnering 97.83 percent of the votes. Alaska, known as the last frontier, produces plenty of natural gas and is replete with endless nature and outdoor activities. However, when it comes to producing quality athletes, Alaska is anything but a top producer. It’s simply too cold to train outside year round and the people up there have to focus on surviving the endless winters, not perfecting their 40-yard dash times. 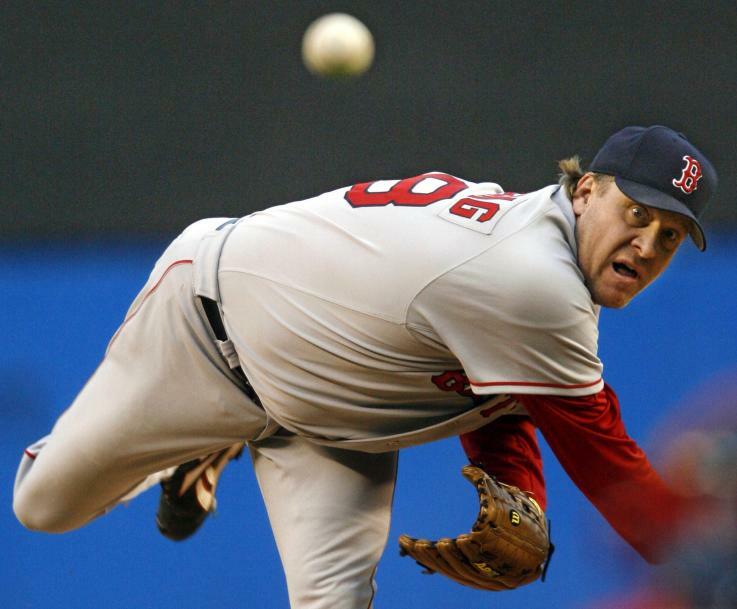 That being said, the state has produced a few legendary athletes, one of them being potential Hall of Fame pitcher Curt Schilling. With three World Series Rings and six All-Star appearances, Schilling was one of the most dominant pitchers of the 1990s and 2000s, and his postseason performances have made him a legend. Her medal count from her two Olympic Appearances (one bronze, one gold) pales in comparison to other Olympians here, but the impact she had on America following her gutsy performance at the 1996 Olympics solidifies her as the best athlete to come out of The Grand Canyon State. Team USA was locked in an intense showdown with Team Russia, and Strug, who had severely hurt her left leg during her first vault attempt, needed to complete her second attempt in order for Team USA to clinch gold. With the performance of a lifetime, Strug stuck the landing moments before collapsing in pain. Strug was then transported to a hospital where it was revealed she had severe tendon damage. For her efforts, she became a national hero, met with President Clinton, made the cover of Sports Illustrated, and appeared on the Wheaties Cereal box. Without Pippen, there may not be an undefeated Michael Jordan in the NBA Finals. 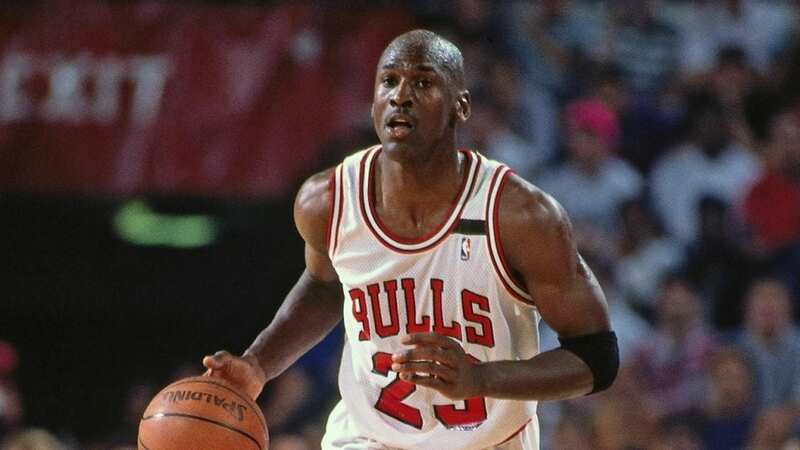 Although Jordan became the face of basketball and the Bulls, he was aided in his conquest to the top by none other than Scottie Pippen, a freakishly athletic small forward. If Jordan was Batman, Pippen was Robin, except an incredibly upgraded version that could actually carry the team on his own, something he did when Jordan went on his baseball hiatus. 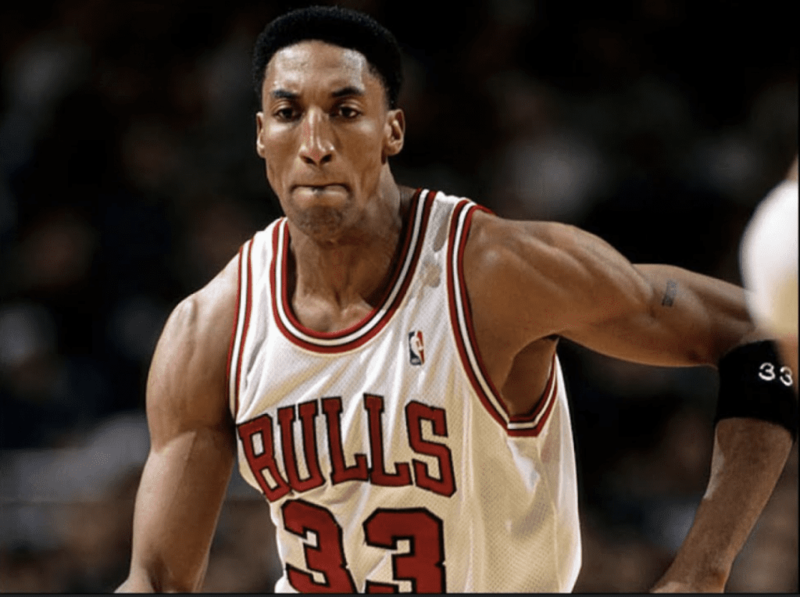 Aside from his six NBA titles and seven All-Star appearances, Pippen was an instrumental figure on two gold-medal-winning Olympic teams, including the original Dream Team. In a state as big and populous as California, finding one athlete to emerge ahead of the pack as the state’s best athlete is no small task. But alas, Tiger Woods has done it over some other extremely qualified athletes (Ted Williams, Tom Brady, Joe DiMaggio to name a few). How did he land himself atop over the other exemplary candidates? 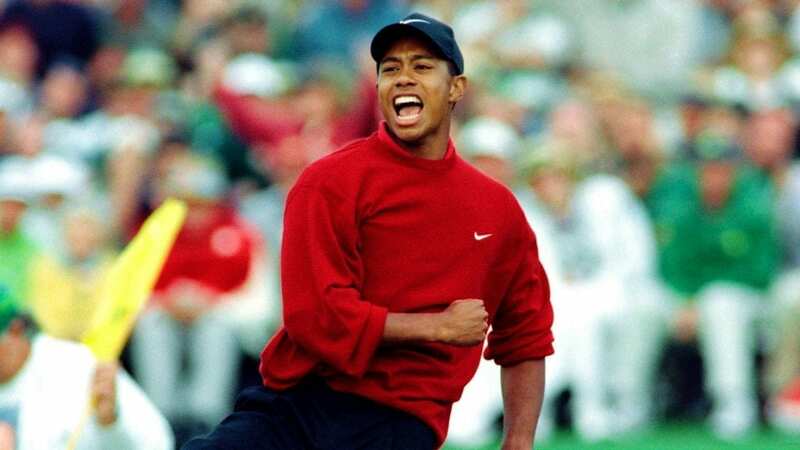 To start, Woods has been the world’s top-ranked golfer for both a record amount of total weeks and consecutive weeks. He trails only Jack Nicklaus in Major victories and has been awarded the PGA Player of the Year a record 11 times. Despite falling off the face of the golf world following marital issues and subsequent injuries and surgeries, Woods is primed to dominate once again. 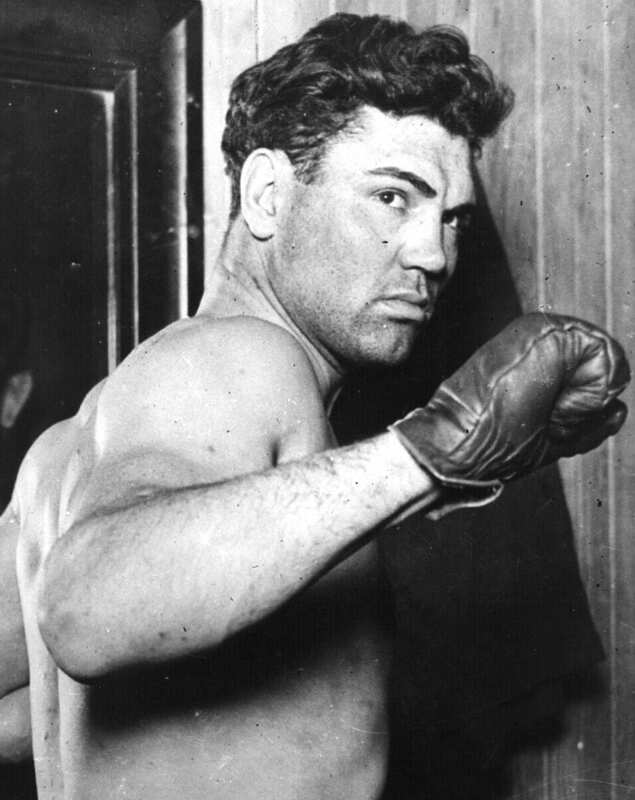 Known as “The Manassa Mauler,” Jack Dempsey is considered one of the greatest heavyweight fighters of all time, and is usually ranked as one of the best punchers in boxing history. Dempsey grew up poor, bouncing around hobo camps and fighting as a way to make some side money. Eventually, Dempsey’s ballroom brawling skills translated into a career where, as a professional boxer, Demsey reigned as the world heavyweight champion from 1919 to 1926. In 1921, Dempsey fought French boxer Georges Carpentier, generating the first million-dollar gate in boxing history. Questioned by the masses for avoiding military service during World War I, Dempsey redeemed himself in the public eye by serving as a fitness instructor in World War II. Connecticut has a lot of history packed into a tiny area, but sadly, the majority of that history doesn’t pertain to athletics. However, The Constitution State does get to boast being the birthplace of legendary marathon runner Bill Rodgers. 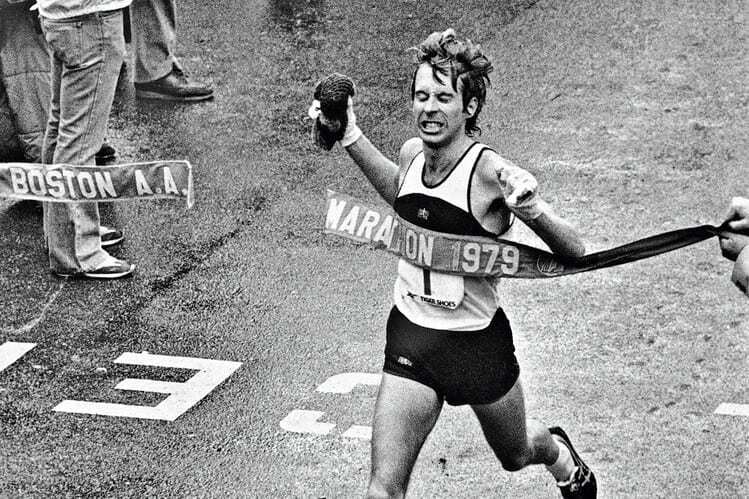 Widely regarded as America’s premier distance runner in the 1970s, Rodgers won both the Boston and New York City Marathons four times while setting the now-broken American record in the marathon. Despite being one of the world’s best distance runners, Rodgers only appeared in one Olympic Games, placing 40th in the 1976 games. Today, Rodgers lives in a small town in Massachusetts. Another state that fails to produce much athletic talent is Delaware, America’s first state. So how did we land on powerlifter and former Marine Mike Hall instead of other global superstars like Elena Delle Donne? Well because Mike Hall, during the prime of his career, earned the title of strongest drug-free man in the world. Most powerlifters and bodybuilders clearly use some sort of performance-enhancing drug. But not Mike Hall. 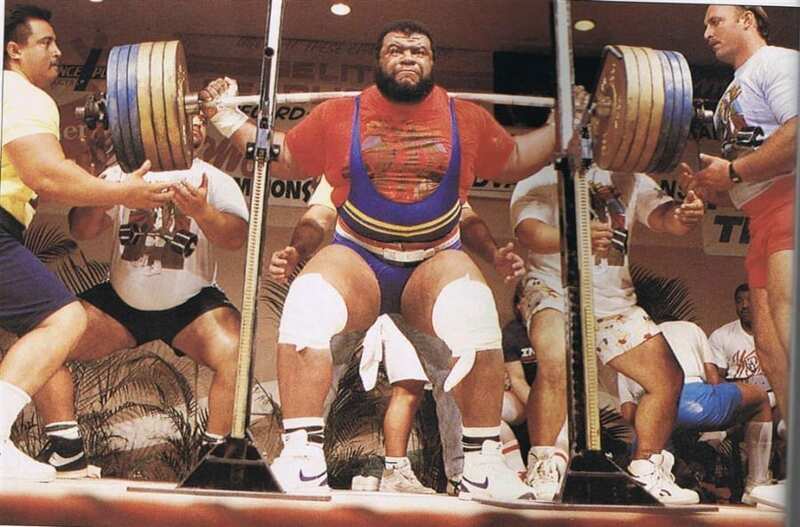 Hall, who voluntarily competed under rigorous drug testing standards, became the first American Drug Free Powerlifting Association (ADFPA) lifter to bench press over 600 pounds and squat over 900. For his efforts, Hall became the face of a national public service campaign urging students to avoid steroids and was endorsed by then-Deleware Senator Joe Biden. “Prime Time” Deion Sanders is as talented an athlete as the world has ever seen, and that is hardly hyperbole. At Florida State, Sanders excelled on the gridiron and the diamond (as well as the track) and which sport he would choose to play professionally was not clear, so Sanders chose both. In the NFL, Sanders became known as one of the league’s greatest cornerbacks and was two-time Super Bowl champion and eight-time Pro Bowler. Although primarily a cornerback, Sanders was heavily utilized as a return man and occasionally lined up as a receiver. On the baseball side of things, Sanders appeared in a World Series and was the NL triples leader in 1992. He’s the only man to play in both a Super Bowl and World Series and hit a home run and score an NFL touchdown in the same week. 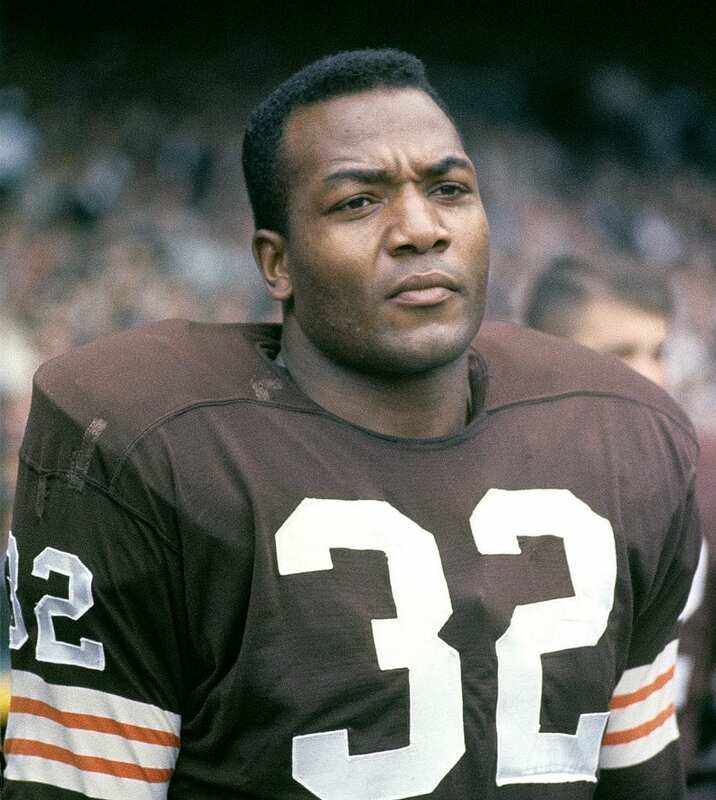 Another legendary multi=sport athlete, Georgia-born, New York-raised Jim Brown is widely regarded as one of the greatest NFL running backs of all time and is the only player to average over 100 yards per game for his entire career. When Brown retired from football, he held virtually every rushing record. Yet, according to Brown, football wasn’t even his best sport, it was just the sport that he could make a living off. Lacrosse is what Brown truly dominated in and at Syracuse, the Hall of Famer was an All-American and was second in the nation in scoring. After retiring, Brown went into acting, starring in a number of films. Hawaii has been producing a ton of football legends for a very long time, but there isn’t a greater all-around athlete to emerge from The Aloha State than a man best known as Duke. A talented surfer and swimmer, Duke is regarded as the man who popularized surfing around the globe. 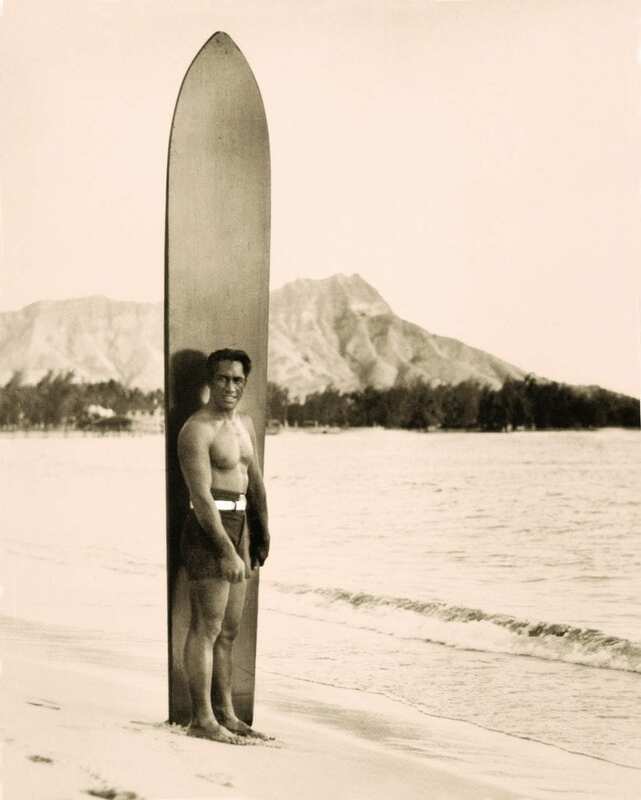 At the time, surfing was a sport strictly practiced in Hawaii, but Duke, an Olympic swimmer who won five medals over the course of three games, loved to travel and would bring his massive board with him wherever he went. In between competitions, Duke would host swimming and surfing exhibitions for locals. Thanks to Duke’s willingness to put on a show, surfing was introduced to California and Australia, and people have been riding the waves ever since. Lots of potatoes here, but not a lot of standout athletes. But there a few, and one of them is Big League slugger Harmon Killebrew, the pride of Payette. When you think of the Minnesota Twins, there isn’t a player who has done more for the team than the Killer, a Hall of Fame player who retired a 13-time All-Star with 573 dingers. 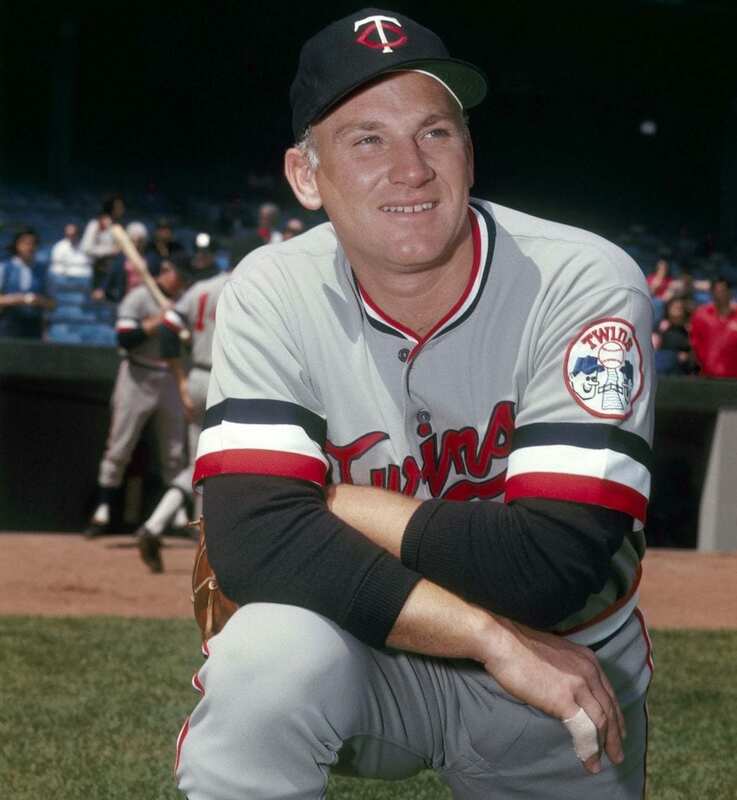 Killebrew spent all but one of his years playing for the Twins and, to this day, still holds a vast amount of Twins hitting records. Killebrew, who became an announcer after baseball, passed away in 2011. His number is retired by the Twins. Hailing from East St. Louis, Illinois, is Jackie Joyner-Kersee, the four-time Olympic long jumper/heptathlete and best female athlete in American history. 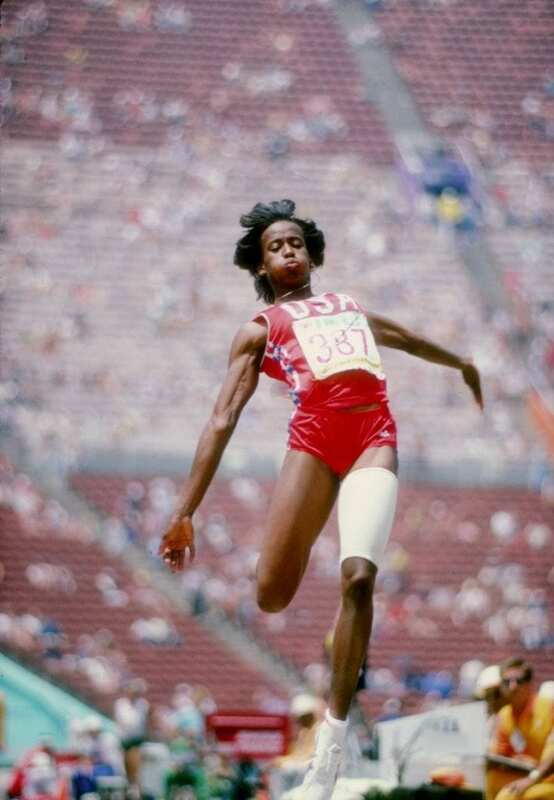 With six total medals (thee gold) and numerous world and Olympic records, Joyner-Kersee earned her title as the greatest female athlete America has ever seen. At UCLA, Joyner-Kersee not only excelled on the track but also managed a very impressive basketball career, averaging over 12 PPG as a senior. Today, Joyner-Kersee is an activist and philanthropist involved with helping low-income families afford computers and internet access. In 1986, Jackie married her track coach Bob Kersee, aka the man behind the hyphen. 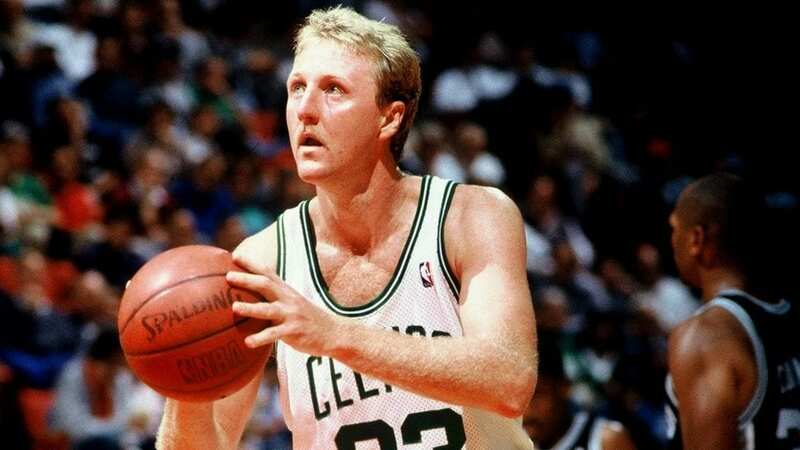 Endearingly referred to as “The Hick from French Lick,” Larry Bird is an Indiana boy through and through. After one year playing for the Hoosiers, Bird transferred to Indiana State University, preferring the small-town atmosphere there that was similar to French Lick. At ISU, Bird would get more familiar and comfortable with the spotlight as he led his Sycamores to a perfect regular season record and an NCAA Championship Game matchup against Magic Johnson’s Michigan State Spartans. A Boston Celtic for life, Bird established himself as one of the game’s premier shooters and all-around players, earning three titles and three MVP awards. In 1992, Bird, as a member of the Dream Team, helped the United States secure Olympic gold. 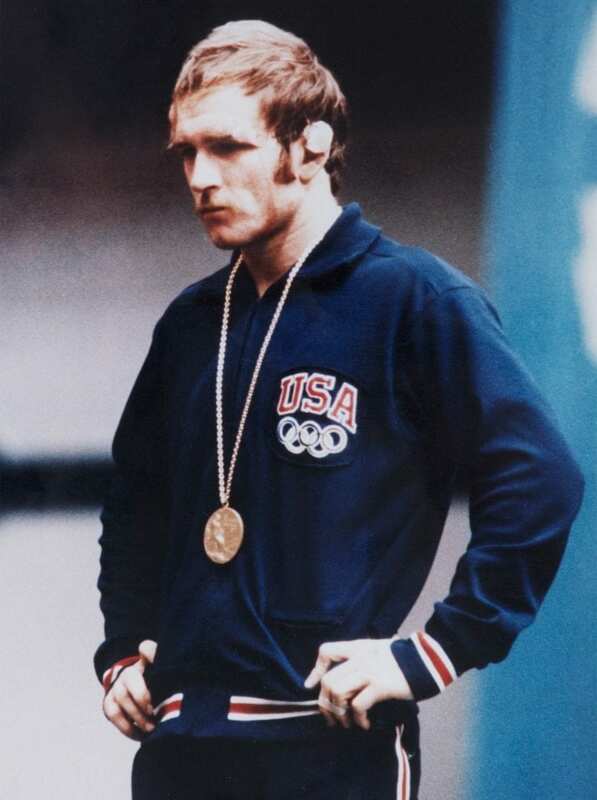 The father of American wrestling, Dan Gable compiled a hard-to-believe 117-1 record at Iowa State University, losing his only match during the final match of his unbelievable career. At the 1972 Munich Olympics, Gable won the gold medal without surrendering a single point throughout the entire tournament. The Soviets, considered at the time the world’s best wrestlers, had one goal: beat Gable. They couldn’t. After his wrestling career wrapped up, Gable became a coach at the University of Iowa. There he became America’s greatest wrestling coach of all time and coached Iowa to a 355-21-5 record with 15 NCAA Titles. Gable also coached 152 All-Americans and 45 National Champions. Shiftiest, most elusive, and arguably the greatest running back of all time hails from Kansas. Yep, Barry Sanders, the man who broke the hearts of every Lions fans across America, is a Kansas man. 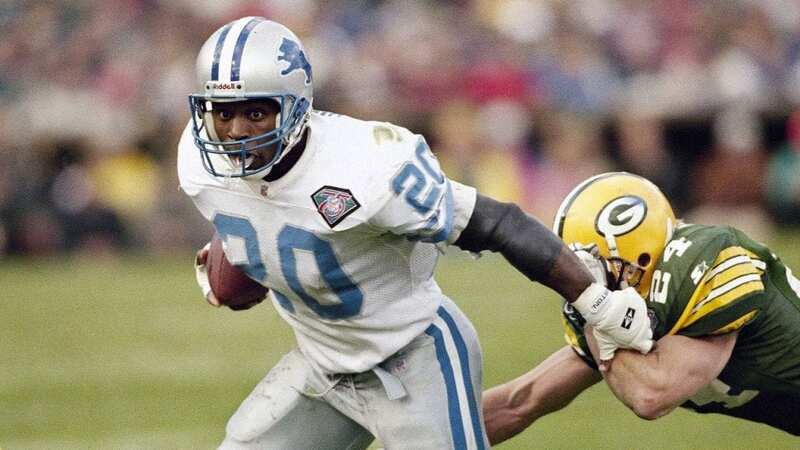 Before his abrupt and shocking retirement, Sanders ran for over 1,000 yards in every season he was in the league and eclipsed 2,000 yards in 1997. He was simply untouchable and had superhero-like vision, but it was that same vision that allowed for Barry to see that the dismal Lions weren’t going anywhere, and escaping that franchise, even if it meant retiring from the league, was the right long-term move. Along with his Heisman award from Oklahoma State University, Sanders won the NFL MVP, made it to 10 Pro Bowls (every season he played) and earned himself a bust in Canton. He retired just 1,457 yards short of the NFL’s all-time rushing record. The greatest boxer ever is Muhammad Ali. Born as Cassius Clay in Louisville, Kentucky, Ali rose to prominence as a youth Golden Gloves winner and capped off his amateur career with a gold medal at the 1960 Olympics. From that point on, it was clear Ali was going to be special, and he did not disappoint. Throughout his career, Ali became known as both the greatest boxer and as a cultural icon. Ali’s impact outside the ring could be considered equal if not greater than his impact inside the ring. Ali stood up against the government, fought for equality throughout the Civil Rights Movement, and was one of the most outspoken, yet well-spoken, athletes America had ever seen. 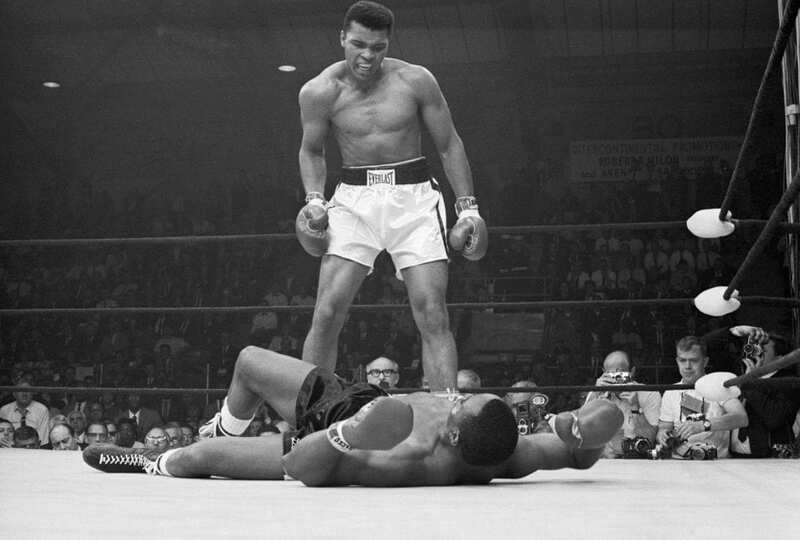 Sports Illustrated named Ali the greatest athlete of the 20th Century. The most gifted son out of the Manning Family is easily Peyton, the Omaha-yelling passing extraordinaire. Although Peyton doesn’t stack up against Tom Brady in the ring argument, many football enthusiasts still consider him to be the best quarterback ever and use other metrics to prove it. He holds numerous NFL passing records and was regarded as the most masterful quarterback at the line of scrimmage in NFL history. The offenses he led were prolific and the stats he put up year after year are almost unbelievable. If Peyton wasn’t on the Colts and had better defenses behind him, he easily could have a ring for every finger. After winning Super Bowl 50, the NFL’s single-season touchdown leader retired. Another state that totally lacks big names and superstar athletes, Maine is easily more famous for its lobsters than its local talent. But what is one thing lobsters do? Live in the ocean. And what do most animals that live in the ocean do? Swim. And what does Ian Crocker, like many aquatic animals do? Swims. Yes, Maine’s Ian Crocker is a three-time Olympian and proud owner of five Olympic medals, including three gold. 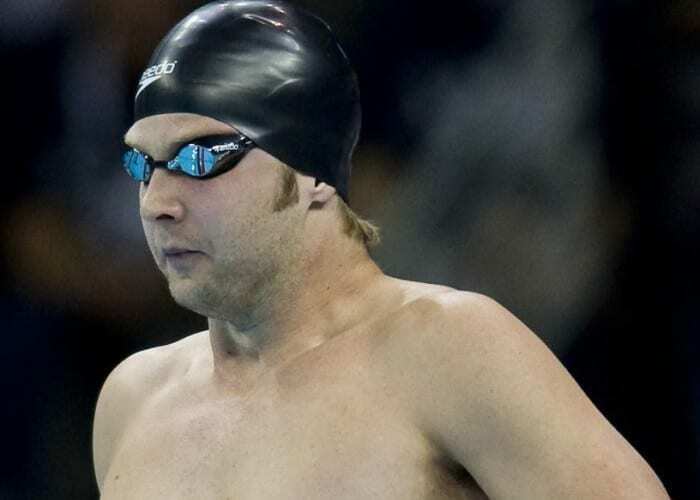 And while no one will ever dethrone Phelps as America’s best swimmer, Crocker was a force to be reckoned with and set numerous world records during the height of his career. Speaking of swimmers, here’s one you may have heard of before. 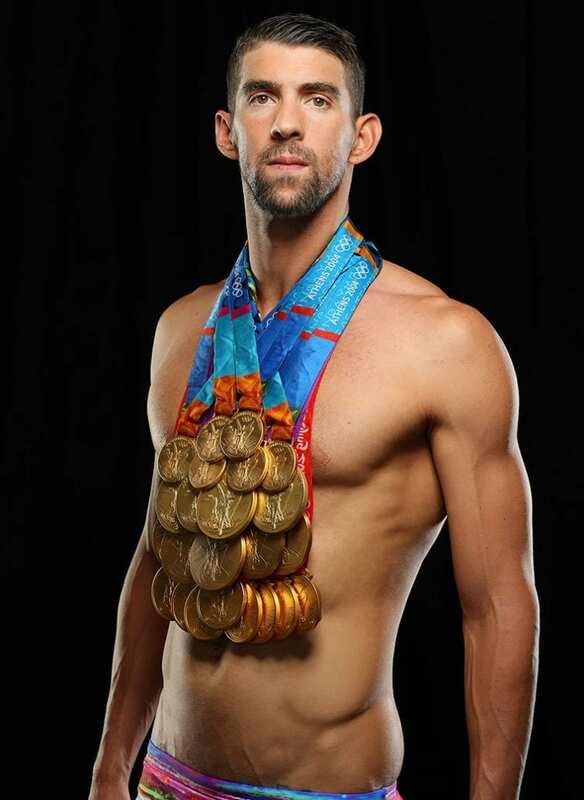 You know, the world’s most decorated Olympian, ever (28 medals). The man with the most Olympic gold medals (23). And what most people don’t know or seem to forget is that Phelps actually made his first Olympic team at the young age of 15 and swam at the 2000 Sydney Olympics, placing fifth in the 200-meter butterfly. Since failing to reach the podium in 2000, Phelps has gone on an unprecedented run of success, setting numerous world records in the process. 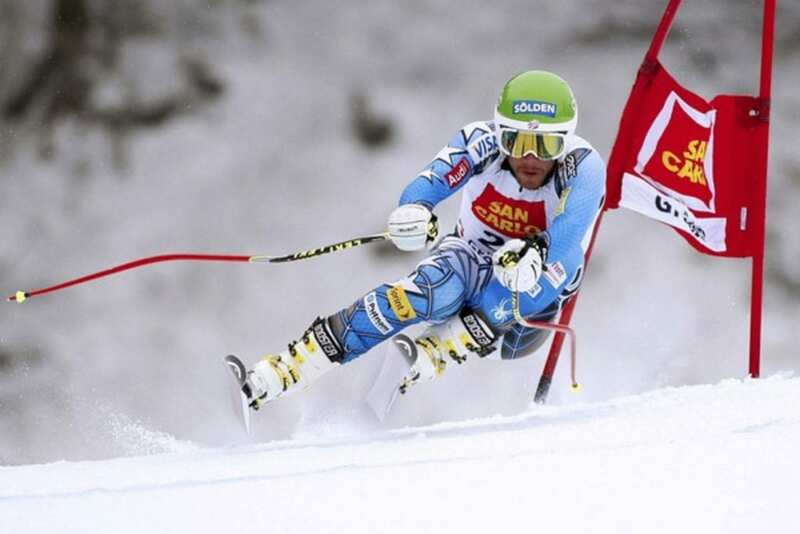 His eight gold medals at the 2008 Olympics will probably never be bested. Phelps is married with two kids and currently resides in Arizona. Well at this point you should have picked up on a pattern. New England, a region full of history and firsts, just isn’t the land of top athletes. Yes, they obviously exist, but to a much lesser degree, and Massachusetts isn’t an exception. 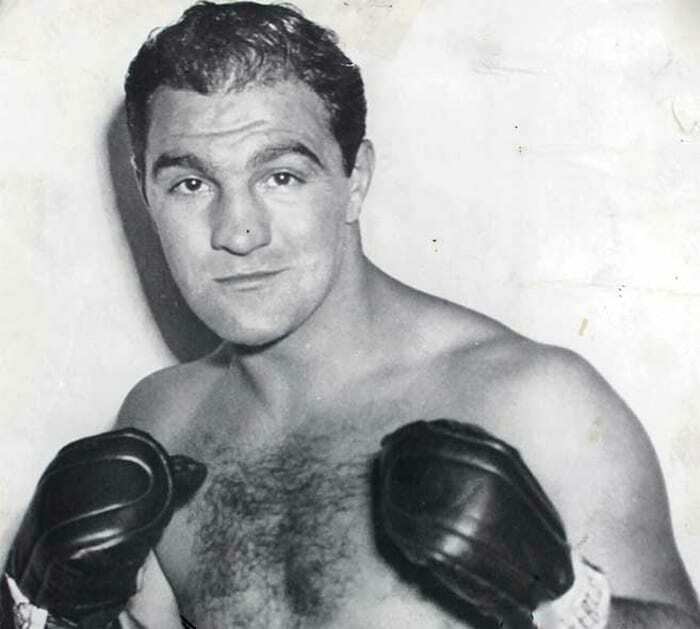 What the Bay State did produce was Rocky Marciano, one of the greatest heavyweight boxers ever. Marciano finished his career with an unblemished, perfect 49-0 record. He’s considered one of the most powerful punchers ever and had an uncanny ability to put his opponents on the canvas. Marciano tragically died in a plane crash over Iowa in 1969. 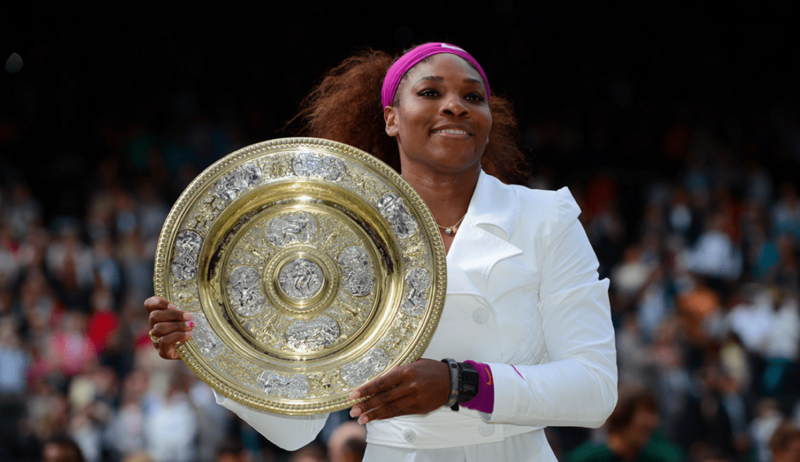 There hasn’t been nor likely will ever be another female athlete as dominant as Serena Williams. The tennis superstar has the most Grand Slam victories in the Open Era (23) and also has four Olympic gold medals. Williams entered the national spotlight back in 1995 as a teenager, and since that fateful moment, women’s tennis hasn’t been the same. Serena Williams has dominated international competition, has one of the game’s most powerful serves, and is a money-making machine. She’s a modern day idol to many tennis fans and is one of the world’s most recognizable and respected athletes, regardless of gender or sport. “Mr. May” became “Mr. 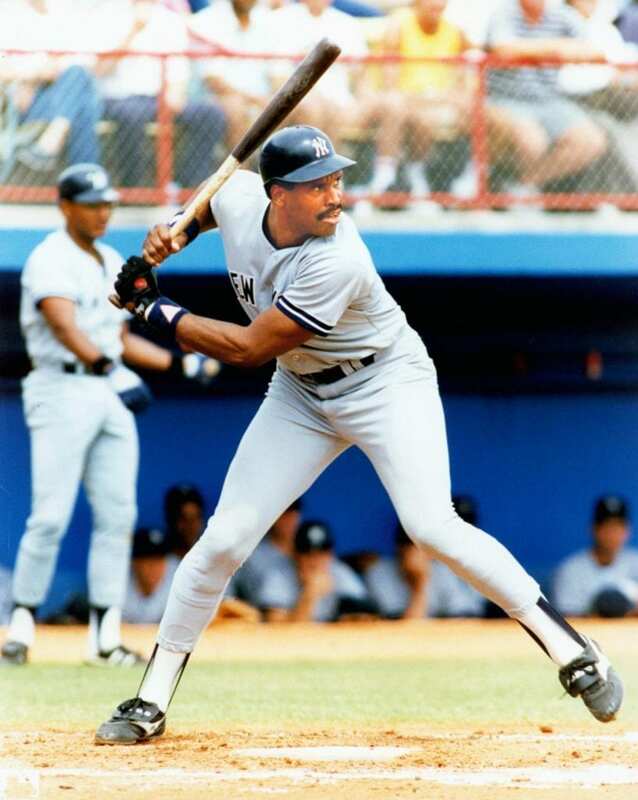 Jay.” Dave Winfield wasn’t thought of as a clutch hitter in the postseason and drew the ire of Yankee ownership for his sluggish postseason play, but all of that changed when Winfield, as a Toronto Blue Jay, knocked in the game-winning double, helping the Blue Jays capture their first World Series title. Aside from that legendary hit, Winfield made a remarkable career for himself with 12 All-Star appearances and seven Gold Gloves as well as a spot in the Hall of Fame. An outstanding athlete, Winfield was drafted by four professional teams in three sports but elected to pursue a career in baseball. Wise choice. Well, when you are the undisputed greatest receiver of all time, and many of your peers think that you are the greatest football player ever, chances are you’ve earned your spot as your state’s greatest athlete. 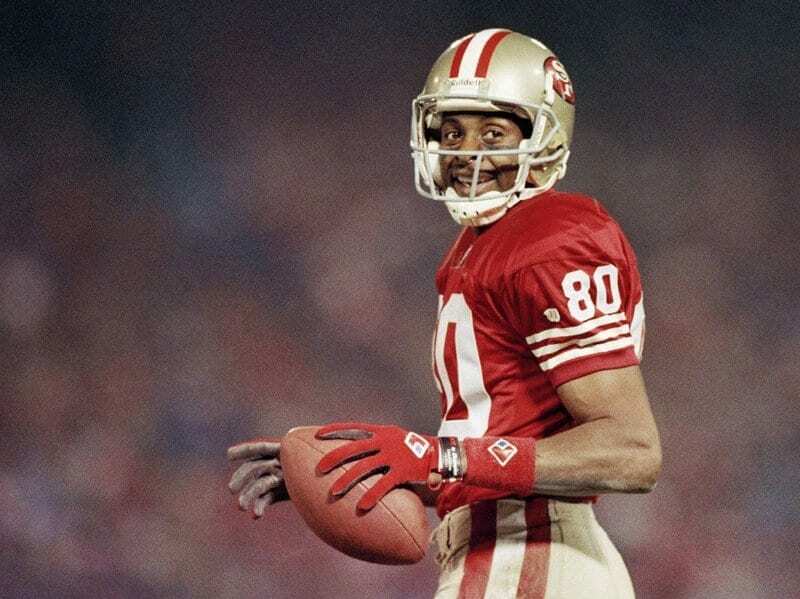 Hailing from Crawford, Mississippi, wide receiver Jerry Rice is a three-time Super Bowl champion and 13-time Pro Bowler. He also holds multiple NFL receiving and scoring records including career receptions, receiving yards, and receiving touchdowns. Jerry had hands of gold, and it was only fitting that he made his legend on a team named after the gold rush (49ers). Rice, needless to say, is a member of the Pro Football Hall of Fame. There’s nothing quite like the Yog, the funny, talented backstop of the New York Yankees. 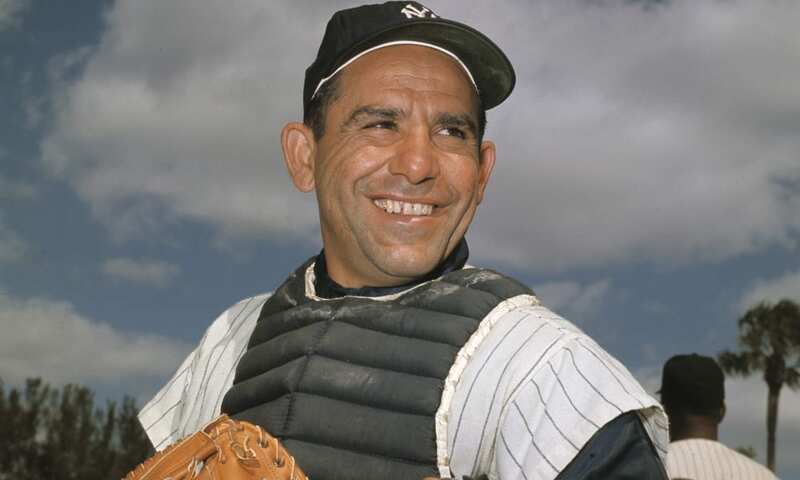 As a player, Berra won an astounding 10 World Series and racked up 18 All-Star appearances. He was also a World War II hero and was awarded the Purple Heart for his actions while serving with the Navy. Yes. That is the same Phil Jackson who somehow managed to coach both Jordan and Kobe, Pippen and Shaq. Yes, that same Phil Jackson who won 11 NBA Finals as a coach. 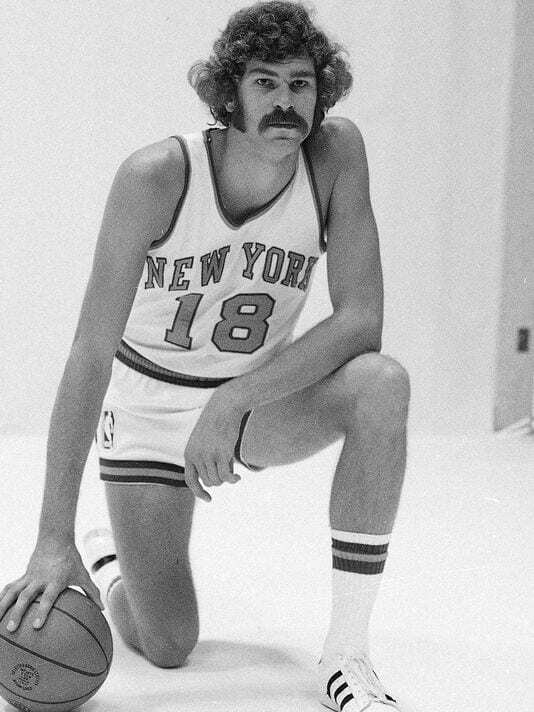 Before Jackson was holding a clipboard and running his highly maniacal triangle offense, he was on the hardwood, balling out with a thick mustache and head of hair. His playing career wasn’t anything special, but he did manage to win two titles. Once Phil hung up the Chuck Taylor’s he was able to embark on an epic coaching career that culminated with the aforementioned titles. Despite playing high school ball in North Dakota, Montana should be very proud to claim the Master of Zen as their own. Gibson threw the ball so hard and accurate that, rather than players adapting, baseball decided it needed to alter the entire game. After retiring, Gibson worked in radio, television, and as a coach. His No. 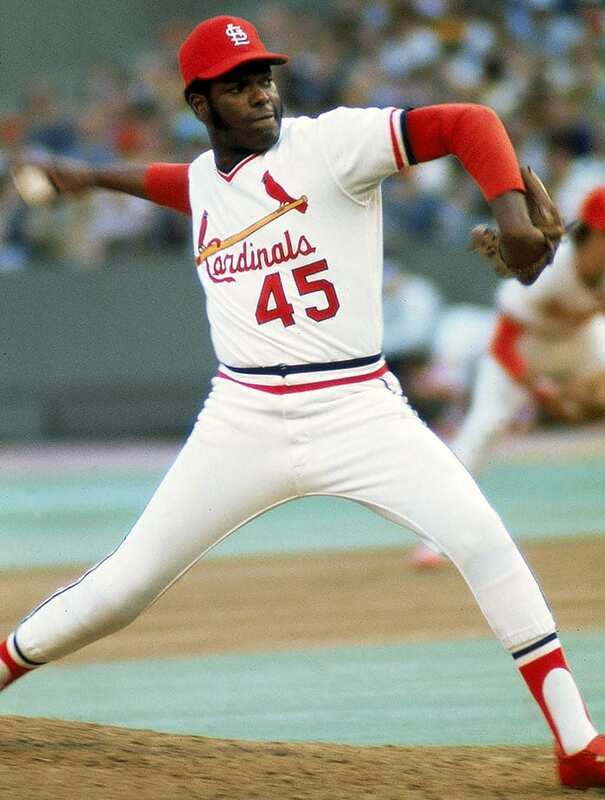 45 has been retired by the Cardinals and a statue was commissioned in his honor both in St. Louis and in Nebraska. It’s only fitting that America’s most flamboyant and eccentric tennis star is from Las Vegas. Andre Agassi, the man credited with tennis’ mid-90s revival, won eight Grand Slams and an Olympic gold medal. He was a global superstar and was a big-time gambler when it came to personal style. News flash to all: that mane he had was fake. It was a wig. Now that your souls are crushed, let’s get back to business. 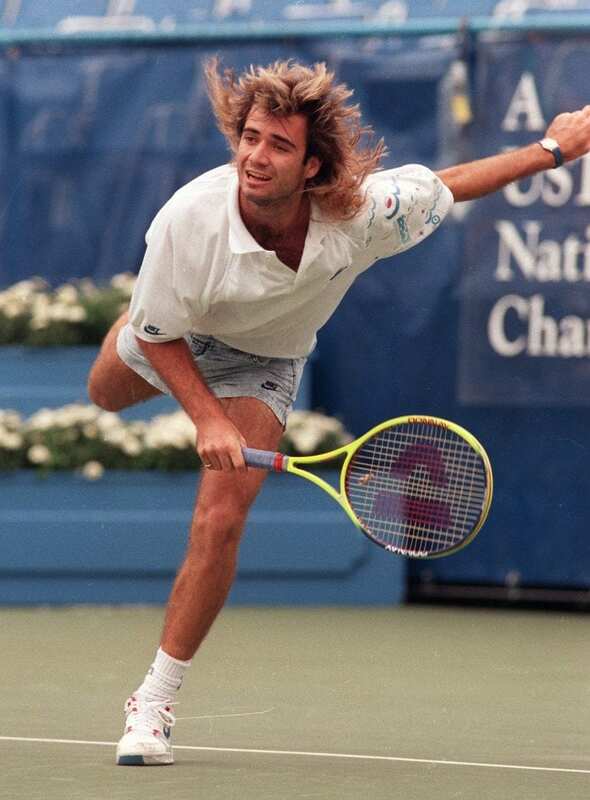 Agassi is married to tennis legend Steffi Graf, and since retiring, no American tennis player has even sniffed the amount of success and fame the Nevada Nuke did during his prime. The Granite State, like all the other states in the North East, isn’t an athletic hotbed. Actually, New Hampshire isn’t much of a hotbed for anything at all. The best beaches in that area? Go to Cape Cod or Maine. The best hiking and skiing? Try Vermont and Maine? Best nightlife? Ship down to Boston. And based on the empirical evidence, it’s safe to assume that Bode, when he wasn’t flying down the mountain, made that trip frequently. All jokes aside, Miller is a highly decorated Olympian with six medals. Sadly, he’s more known for his partying ways and disappointing finishes in a career that leaves people constantly pondering what could have been. When you can simply go by one name and still be recognized (in this case Jeter), you know you’ve made it. Jeter is the best shortstop in the history of baseball and is known for making countless clutch plays, especially when it mattered most: in the postseason. 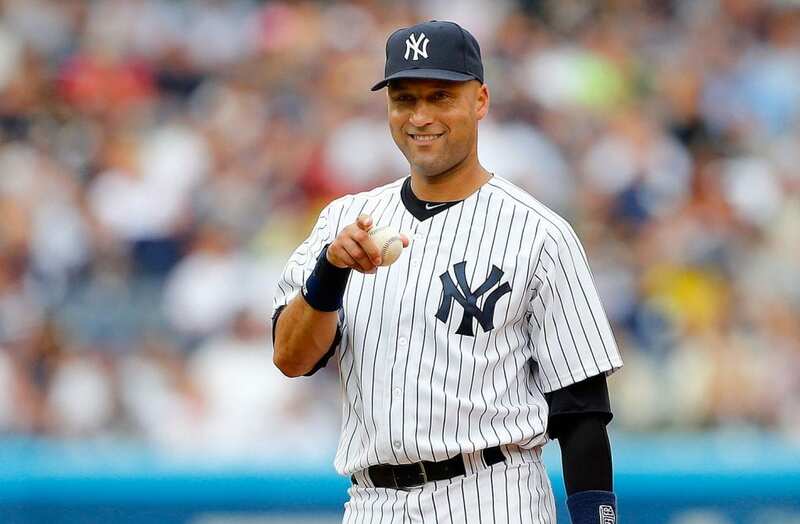 Jeter also earned the coveted title of captain and proudly wore the C on his chest from 2003 until his retirement in 2014. Another sign that screamed to the world that Jeter made it: he was hated by an entire legion of fans (Red Sox) and region of America- the Northeast, excluding parts of Connecticut where droves of sorry fans were tricked into rooting for the Yankees. 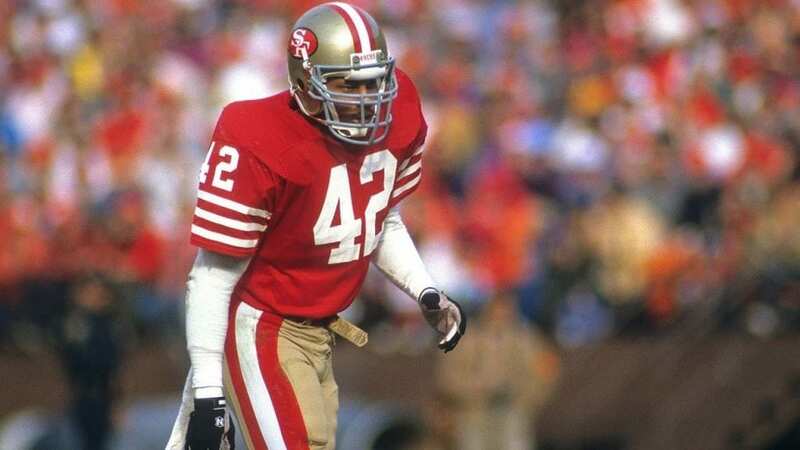 Sorry Brian Urlacher fans, defensive back Ronnie Lott is the greatest defensive player of all time from New Mexico. A product of USC, Lott made his living ferociously hitting helpless offensive players and picking off quarterbacks with ease. 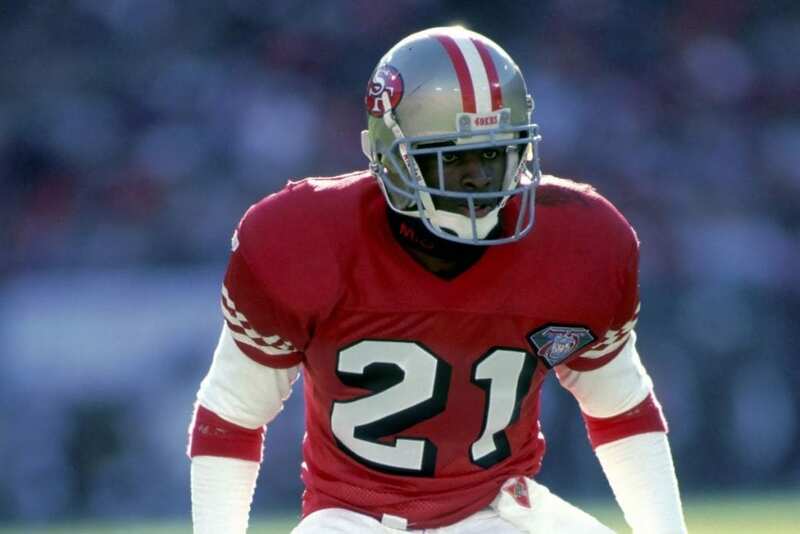 As a Niner, Lott won four Super Bowls and made it to 10 Pro Bowls at three different positions: corner (left and right by the way), strong safety, and free safety. In his first year of eligibility after retiring in 2005, Lott was elected to the Pro Football Hall of Fame and is currently ranked 7th all-time in career interceptions. Since retiring, Lott has entered the business world, excelling there as well. Before you gasp, cry, and yell google it. We know what you’re thinking. Michael Jordan is a North Carolinian! He was a Tarheel! He owns the Hornets! There must be some mistake. There isn’t. “His Airness” was born in Brooklyn, New York. And really, it’s only fitting that the GOAT was born in the city he tortured as a professional. Yes, the Knicks have struggled mightily over the past decade or so and college hoops in NYC are lackluster, but talent wise, New York is near the top. It’s the storied city where legends are made and the blacktop rules all. So all of you North Carolina and Bulls fans should really be thankful that Jordan had his DNA programmed with NYC grit. For all of you North Carolina fans who saw the previous slide and let out a huge sigh, we’re sorry. We know how close you hold MJ to your heart, but he’s not from North Carolina by birth, so he wasn’t eligible. Thankfully you guys got Richard Petty, The King of NASCAR. Petty has set and broken virtually every important NASCAR record and is arguably the most iconic man in American racing. 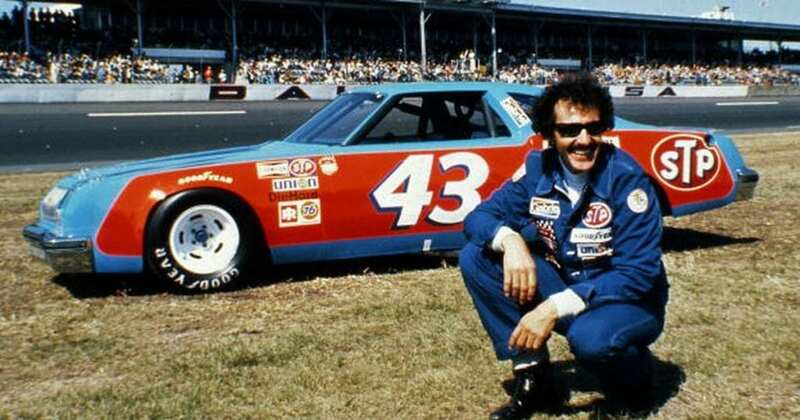 There has never been a more dominant driver, and Petty was able to achieve all of his success during a time when safety precautions and equipment were far inferior to what they are today. In 1992, Petty was given the Presidential Medal of Freedom by President George H.W. Bush. This one is actually hilarious. If you google other similar lists, you will not find Darin Erstad at the top. What you’ll see is a list that includes other bigger names, such as Ronda Rousey, Phil Jackson, Roger Maris, and Carson Wentz. Well, sorry North Dakota, you can’t really claim any of those stars as your own. None of them were born there. 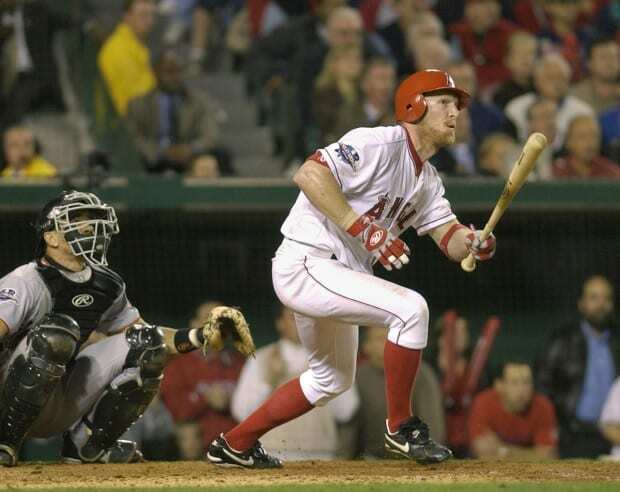 Darin Erstad, a two-time All-Star and World Series champion, was. Erstad, from Jamestown, is the state’s best born-and-raised athlete and trails only Travis Hafner in home runs slugged by a MLB player born in N.D. Erstad currently coaches the Nebraska Cornhuskers baseball team. The basketball GOAT debate involves two people: Jordan and James. The King and Air Jordan. Regardless of whose side you’re on, there’s no debating just how impressive LeBron’s career has been. He’s lived up to the hype and more. He brought the title-starved, miserable city of Cleveland its first championship in more than half a century. He actually got Miami Heat fans to show up for games BEFORE the playoffs. And now he’s actually making the Lakers fun to watch again. 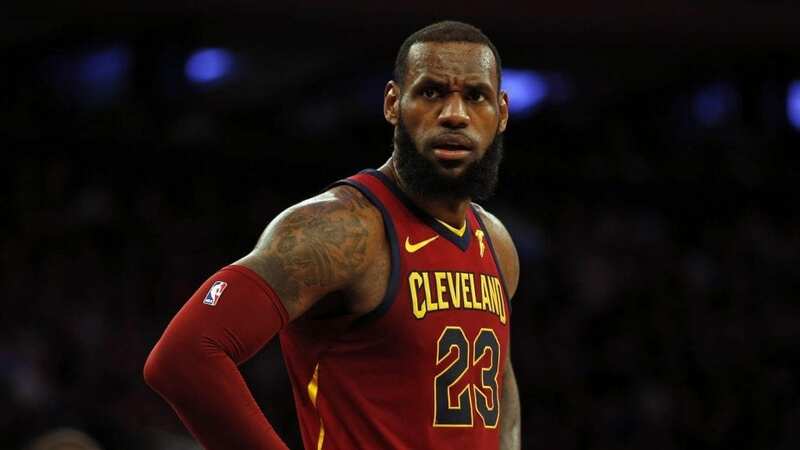 The point is, LeBron James is either the first or second greatest player of all time depending on how you look at it, and the impact he’s had on the game of basketball and beyond is immeasurable. But because he is so great in his own right, we’ll give honorable mention to Columbus’ Jack Nicklaus and his 18 golf Majors. Well this one is a no-brainer, seeing how Thorpe is usually considered one of the greatest all-around athletes in American history. Thorpe grew up poor on an Indian Reservation in Oklahoma but didn’t let his circumstances defy him. Thrope was such an outstanding athlete, far ahead of his times by a huge measure. He won two gold medals at the Olympics, had a solid professional baseball career, and was an NFL star. Thorpe is a member of both the College Football Hall of Fame and Pro Football Hall of Fame. 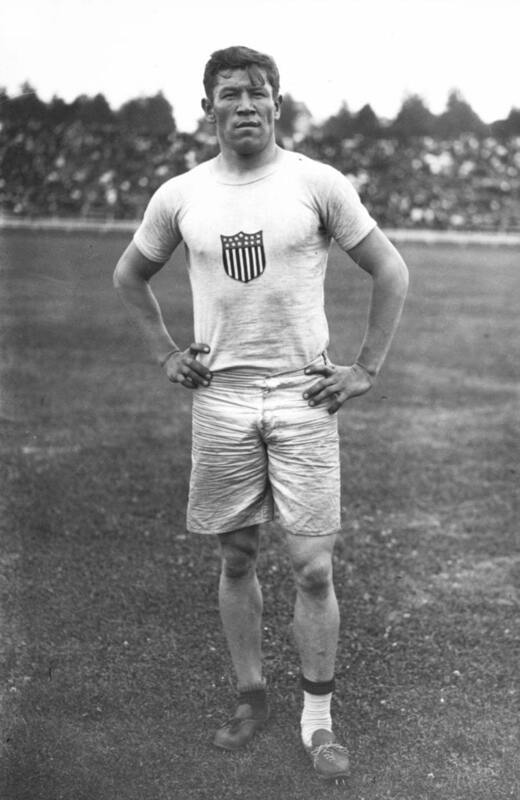 Thorpe is the first Native American to win a gold medal for the United States and is buried in Pennsylvania. Steve Prefontaine was good, but not Danny Ainge good. 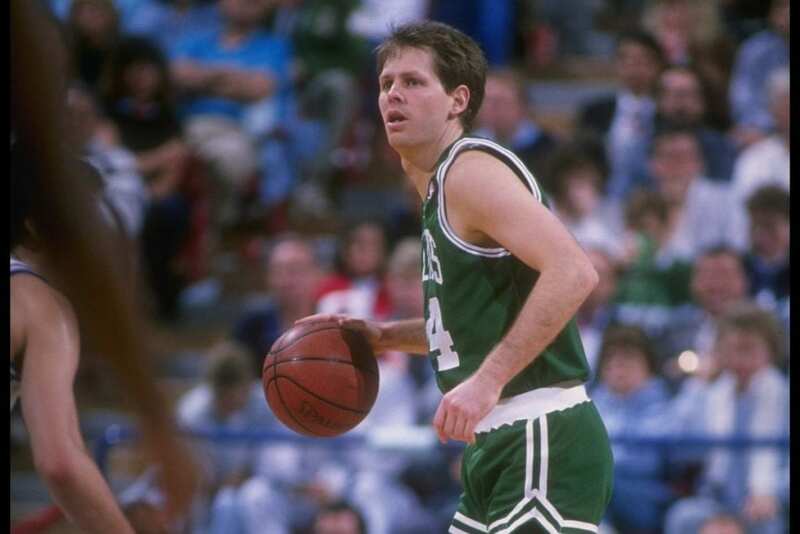 In high school, Ainge accomplished something no other high schooler ever has: he was a three-sport All-American (football, baseball, and basketball). At BYU, Ainge won the John R. Wooden Award, given to the nation’s best basketball player. Although he was a standout basketball player, Ainge opted to give baseball a shot after college and played three years with the Toronto Blue Jays, becoming the youngest player in franchise history to hit a home run. Then he went back to basketball, where he won two Finals with the Boston Celtics as a player and one more as an executive. 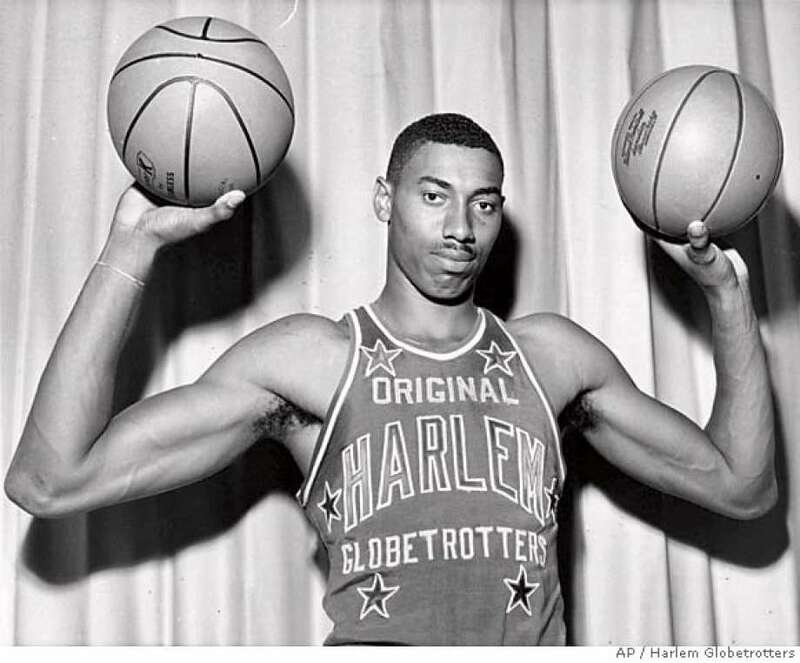 Philadelphia’s Wilt “The Stilt” Chamberlain is known as the only man in NBA history to score 100 points in a game, one of a few astronomical scoring records he set both on and off the court. His number has been retired by three franchises, he’s the only player to average at least 30 points and 20 rebounds for the course of his career. 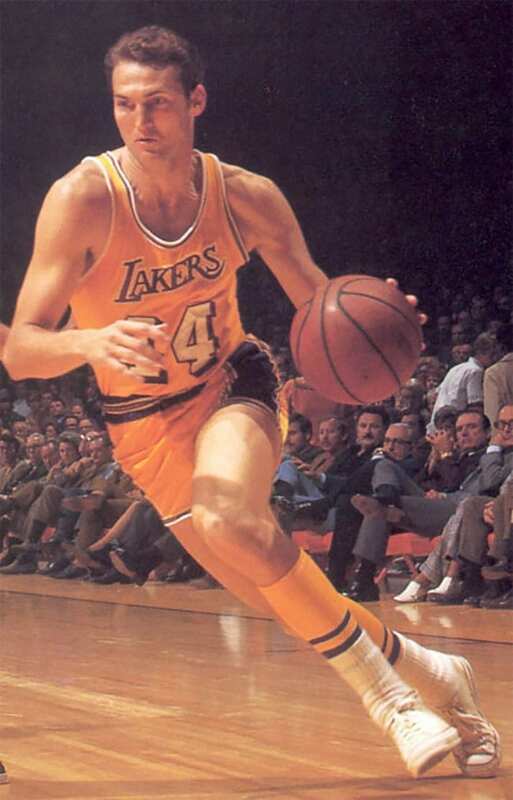 Chamberlain, who passed away in 1999, is responsible for numerous NBA rule changes, such as widening the lane. The NBA will never see another man of similar stature or skill as Wilt, and his legacy as a dominating interior force is unsurpassable. Rhode Island, we are sorry. America’s smallest state isn’t really known for much. Its greatest asset might be a case of cold Narragansett Lager beer. And its greatest athlete is someone most people have never heard of- Napolean Lajoie. The son of two French-Canadians, Lajoie is the pride and joy of the athletically-challenged state of Rhode Island. 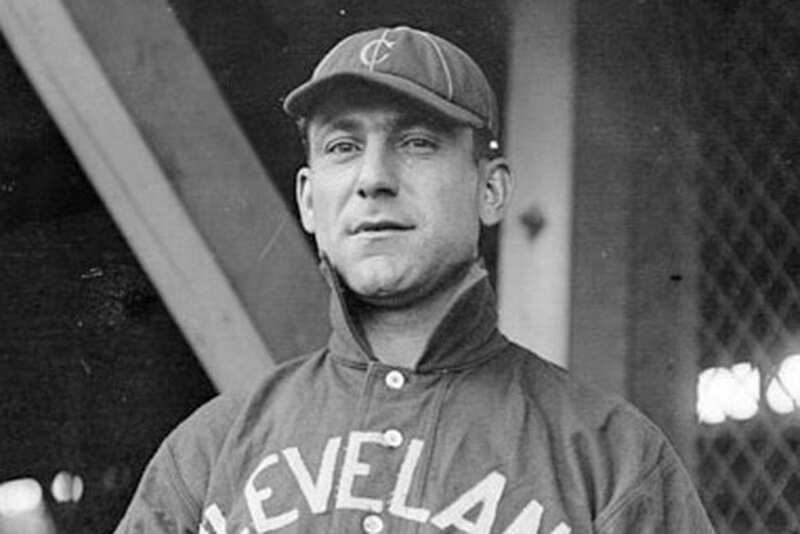 Lajoie led an impressive career and was a five-time AL Batting Champion and Triple Crown winner in 1901. Nap is a Hall of Famer and member of the 3,000 hit club. Lajoie passed away in Florida in 1959 due to health complications from severe pneumonia. 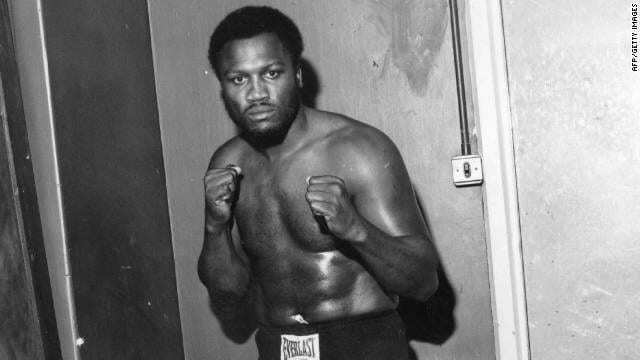 The first man to take down the greatest of all time was Joe Frazier. Back in 1971, Frazier won a unanimous decision over Ali in the Fight of the Century, proving he was in fact one of the greatest boxers of his generation. Frazier was a four-time Fighter of the Year and an Olympic gold medal winner from the 1964 Olympic games in Tokyo. Amazingly, Frazier finished his career with only four losses, losing twice to George Forman and twice to Ali, his greatest rival. Frazier passed away in 2011 from complications with liver cancer, and after years of bad blood between them, Ali attended the ceremony. There wasn’t a big talent pool to choose from here, but the man we did select as the winner unquestionably deserved it. Adam Vinatieri is one of the NFL’s iron men and is, by a wide margin, the league’s greatest, most-clutch kickers. 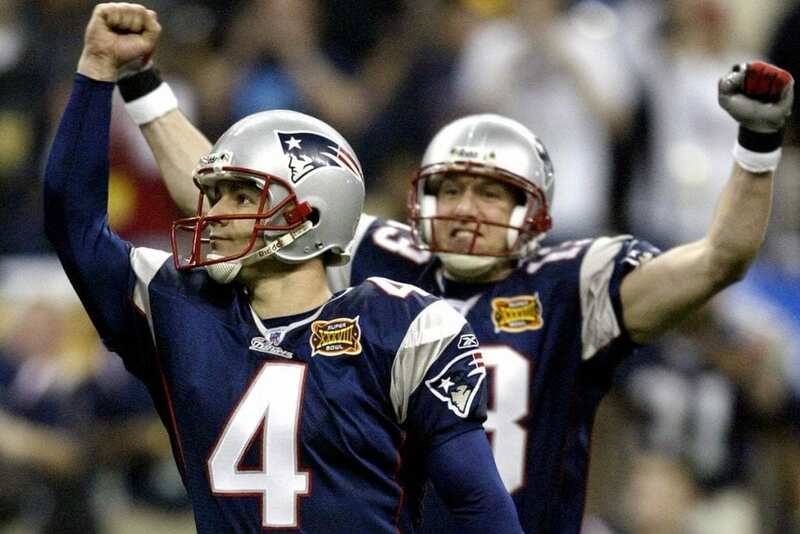 While most mortals bleed red, Vinatieri bleeds blue because he has ice in his veins. He hit two game-winning kicks in the Super Bowl, launched the New England dynasty after nailing two clutch field goals in the Tuck Rule game against Oakland. 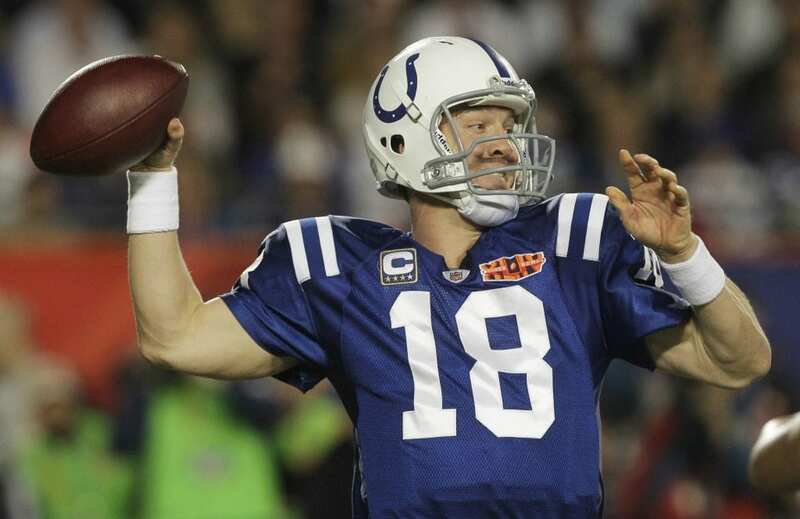 After his career with the Pats wrapped up, Adam moved onto the Colts and didn’t miss a beat, winning Super Bowl XLI. 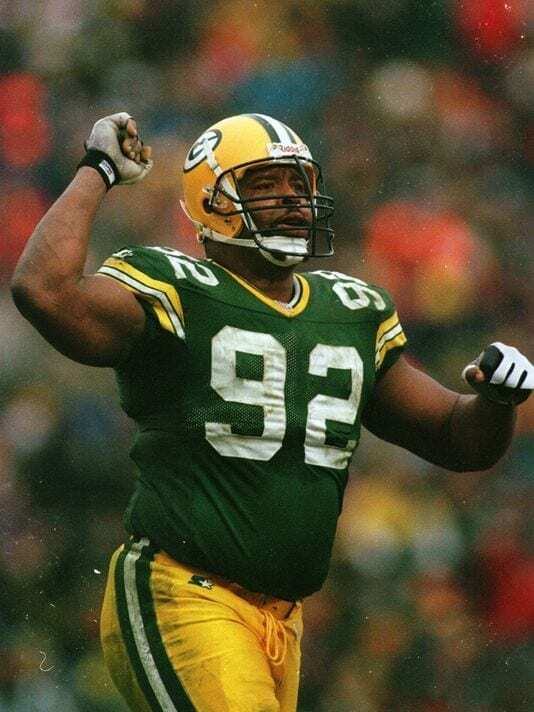 Not even Jack Daniels is as famous as Reggie White, one of the greatest sack-artists in NFL history. White starred at the University of Tennesee before embarking on his NFL career with the Eagles and then Packers. It was with Green Bay that White won his first and only Super Bowl. Reggie, an ordained minister nicknamed “The Minister of Defense,” retired with 198 career sacks, just two short of the all-time record. White is enshrined in both the College Football and Pro Football Hall of Fames. White suddenly and tragically died in 2004 and had his jersey numbers posthumously retired. 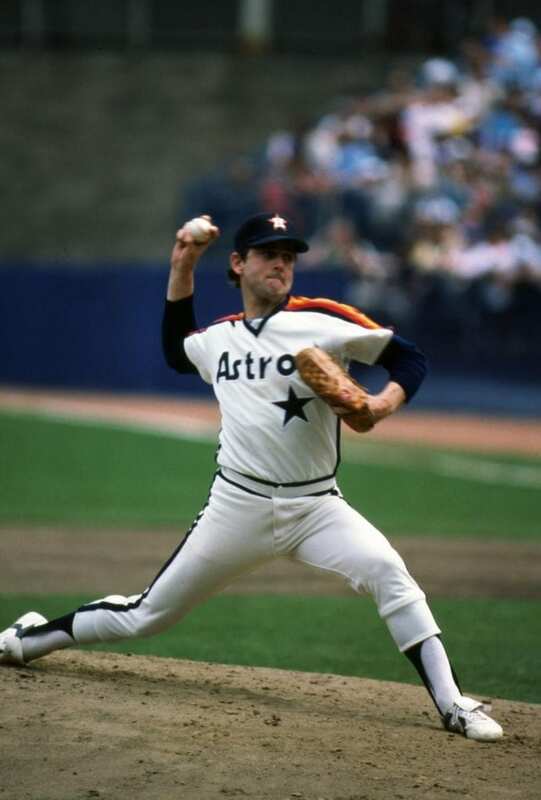 MLB’s all-time leader in no-hitters pitched and career strikeouts, Nolan Ryan was a bad man with a legendary Texas two-step and an explosive arsenal of pitches. If everything is bigger in Texas, Nolan Ryan is no exception. The heat he threw was bigger. His attitude was bigger. And the punches he threw were bigger — at least compared to most other pitchers. Although Texas has produced a plethora of elite athletes, Nolan Ryan, who made his living on the mound, stands alone on top of the hill. He’s the best pitcher baseball has ever seen and his longevity was miraculous. If you were just thinking, “Didn’t Steve Young play high school ball in Connecticut?” you’d be correct. He was a Connecticut high school legend but was born in Utah and returned there for college. 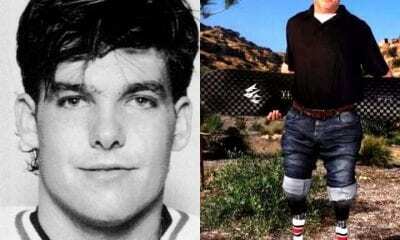 Young’s NFL career initially got off to a rocky start, but once the “Stormin’ Mormon” found his legs, there was no looking back. Young would go onto having a Hall of Fame career, become one of the greatest quarterbacks of all time, and became one of the most successful running quarterbacks in football history. 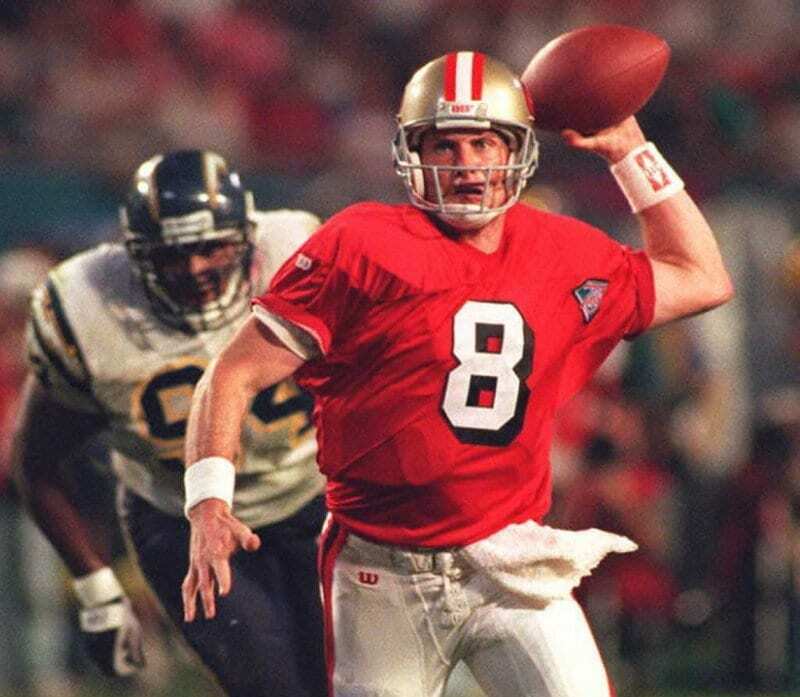 Even more impressively, Young managed to replace Joe Montana, and those were not easy shoes to fill. Lots of maple syrup, mountains, skiing, and gorgeous views, but not a lot of professional athletes. Carlton Fisk, aka Pudge, was determined to buck that trend and prove Vermont has some talented athletes. “Pudge is thought of as one of baseball’s best catchers and had a remarkable 24-year career that spanned four decades. He set numerous hitting and catching records and is widely remembered as the man behind the most famous wave in sports. 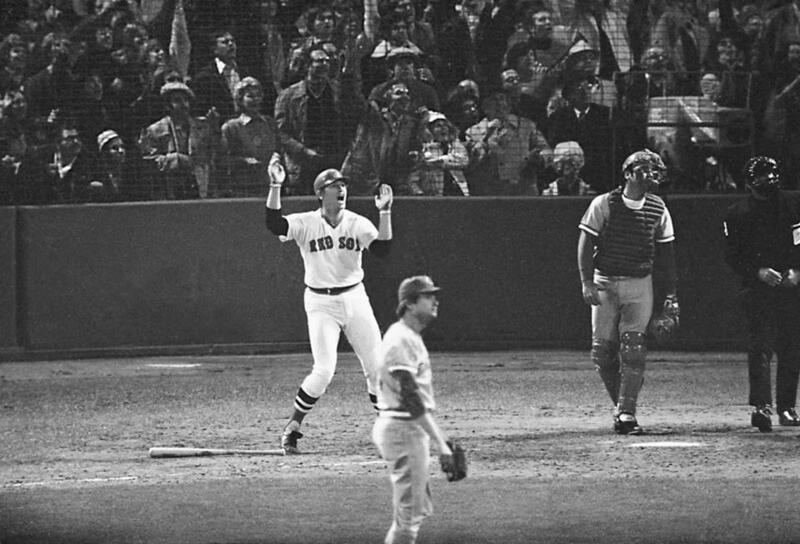 During Game 6 of the 1975 World Series, Fisk memorably waved at the walk-off home run he hit in the 12th inning that appeared to be sailing foul. After the Red Sox, Fisk played for the White Sox. When you are unanimously voted as the greatest defensive player of all time, there is no questioning whether or not you should be your state’s chosen athlete. 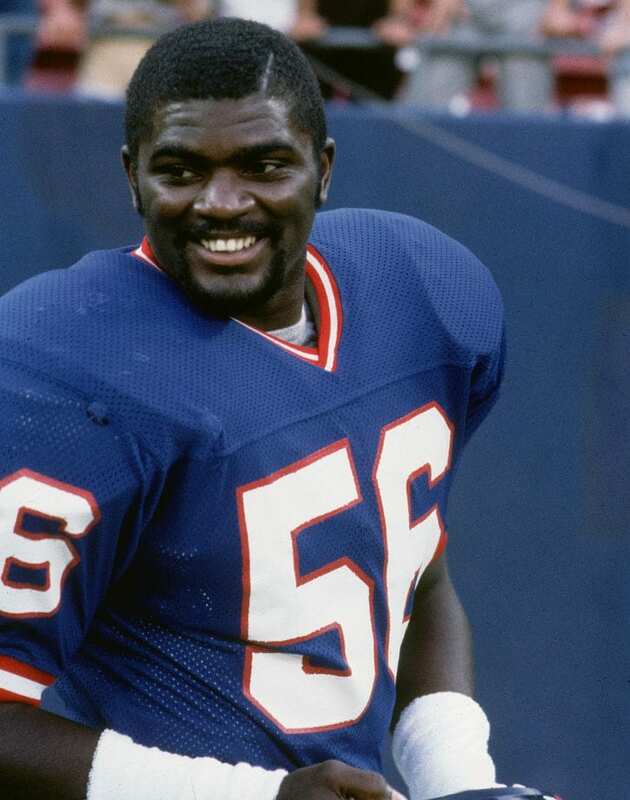 Lawrence Taylor, better known as just “LT,” wreaked havoc on offenses and is one of only two defensive players to win the NFL MVP award. Taylor could do it all. He was a hard hitter, a great tackler, and was as much of a menace to the quarterback as any defensive lineman in the game. Taylor, a controversial and troubled player, is a two-time Super Bowl champion and three-time Defensive Player of the Year. 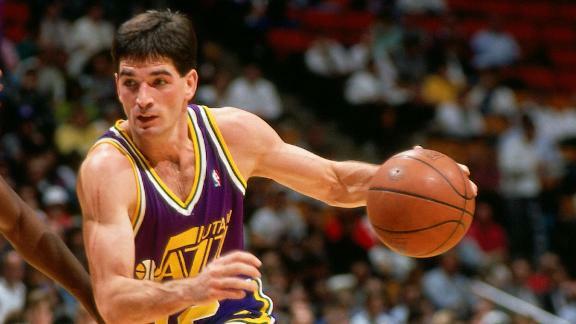 It’s one of the greatest travesties in NBA history that John Stockton never won a Finals. Stockton ran the point for 19 seasons and holds the NBA record for most assists and steals. Playing for Team USA, Stockton won two Olympic gold medals and was a member of the famed Dream Team. Stockton grew up in Spokane and stayed true to his hometown by attending Gonzaga University. He along with teammate Karl Malone are usually thought of as the two greatest players to never win a Finals. Stockton is usually not thought of as the greatest point guard of all time, and that may be a direct result of his lack of championship pedigree and non-flashy style of play. The logo. Jerry was such an iconic player with such a remarkable impact on basketball that the NBA made him the logo of the world’s premier basketball league. West’s indelible impact on basketball is astonishing. His records, stats, and awards are too great to list here. Rest assured he’s a very decorated player who did it all throughout his career spent entirely with the Lakers. Since retiring as a player, West has led an impressive career as a general manager and executive. It was West who helped bring Showtime to the Fabulous Forum in the 1980s as general manager. In 1996, West masterminded the acquisitions of Kobe Bryant and Shaquille O’Neal to usher in a second Lakers dynasty. In 1960, West helped Team USA capture Olympic gold in Rome. Many people have never heard of Eric Heiden and he may not be the biggest name to come out of the Cheese State, but his resume is more stacked than anyone else’s. 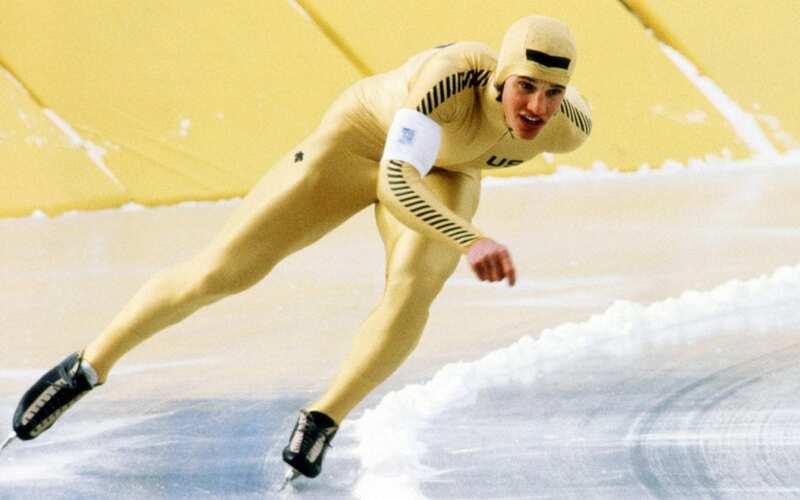 Heiden was an Olympic speed skater who dominated at the 1980 Lake Placid Olympic Games by winning five gold medals. He was the most successful athlete at those Games and he, himself, won more gold medals than all of the nations except for the USSR and East Germany. Heiden is also the most successful Winter Olympian from any one single Winter Olympic Games. Although Heiden never medaled again at the Olympics, that historic show he put on in 1980 will never be forgotten. Wyoming easily has more cows than people. It’s America’s least-populated state and its greatest attractions are its national parks. Wyoming is a cold, windy place- not the ideal environment for developing athletes. 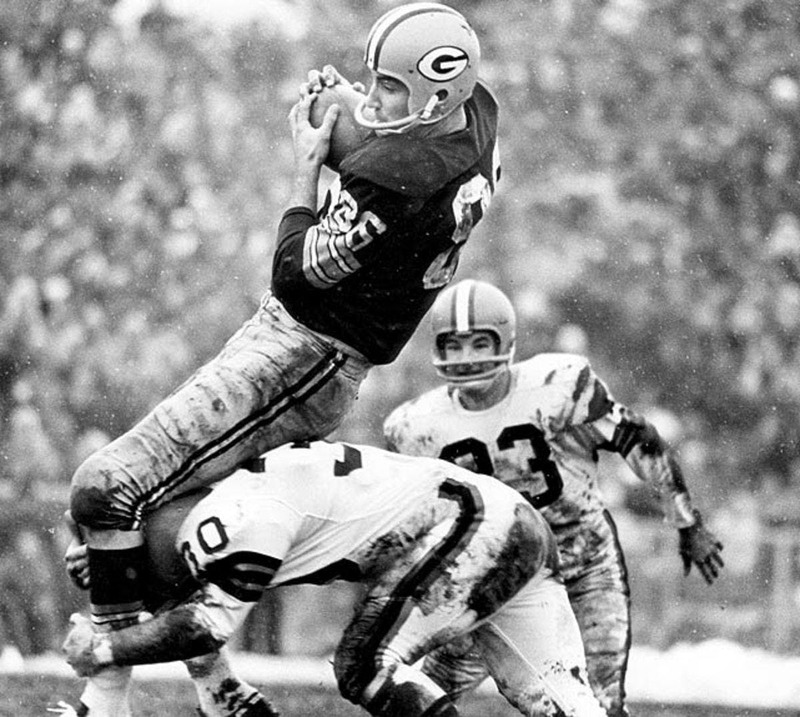 One of its greatest exports, however, was Boyd Dowler, a tough, reliable receiver for the Green Bay Packers. Dowler led the team in receiving yards seven times and won five NFL Championships and the first two Super Bowls. While not a member of the Pro Football Hall of Fame, Dowler is enshrined in Green Bay’s Hall of Fame. Dowler played college ball at the University of Colorado.